The Proof Boise XL is the big brother of the popular Proof Boise that has been a clear winner since the very beggining of Proof Eyewear. Good things stand the test of time and the Proof Boise Xl sunglasses have timeless style & all the handcrafted quality that Proof Eyewear is known for. Go ahead and pick up a pair of the Proof Boise XL sunglasses from Action Sport Optics you will be rewarded with a truly unique high quality hand crafted product with nothing but pure style. Fit Profile: The Proof Boise XL has a large to extra large fit profile. Frame Information: The Proof Boise XL sunglasses are made with a sustainably sourced wood making them environmentally friendly, the frame has spring loaded optical hinges allowing them to fit a variety of face shapes and sizes. Every frame is hand polished and coated with a anti water / sweat protective layer which offers durability and a look that can't be touched. Extreme attention to detail is placed into each & every frame Proof Eyewear makes. 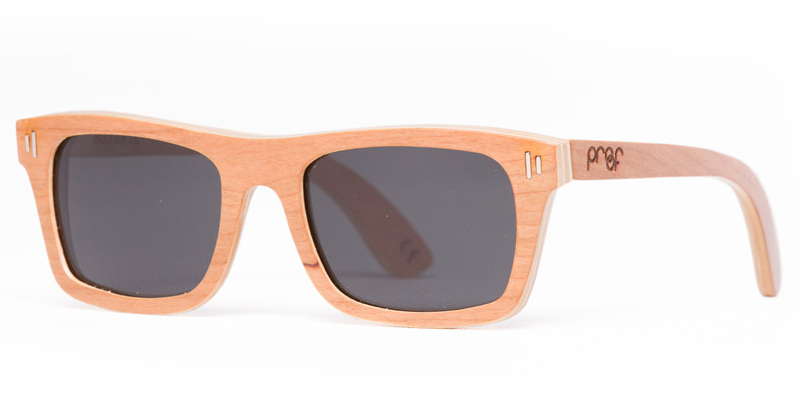 Each pair of Proof Boise XL frames have laser engraved logos and a quote on the inside arm. Lens Information: The Proof Boise XL sunglasses comes with a premium quality CR39 lens with true optical clarity & 100% protection from the suns harmful UVA UVB UVC rays. Brand Information: Proof Eyewear got its start in a garage in Eagle Idaho in 2010. The Founders, 3 brothers, grew Proof to an internationally known brand that is loved all over the world for the unique products that are environmentally friendly while giving back to good causes. Proof donates a percentage of every sale to a specific cause, last year Proof donated $25,000 to open 2 eye clinics in India that will benefit a community of over 100,000 people. Proof Eyewear prides themselves on providing original products that are hand crafted from sustainably sourced materials that are unique and original!